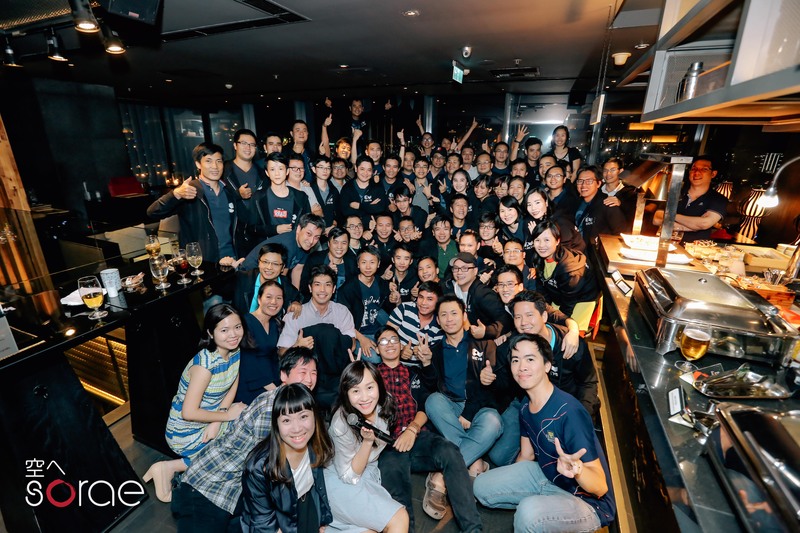 An anniversary is a special event, which offers the wonderful opportunities for all of members to relive beautiful memories, show company gratefulness to their employees and clients, and build a stronger relationship to bring people closer together. 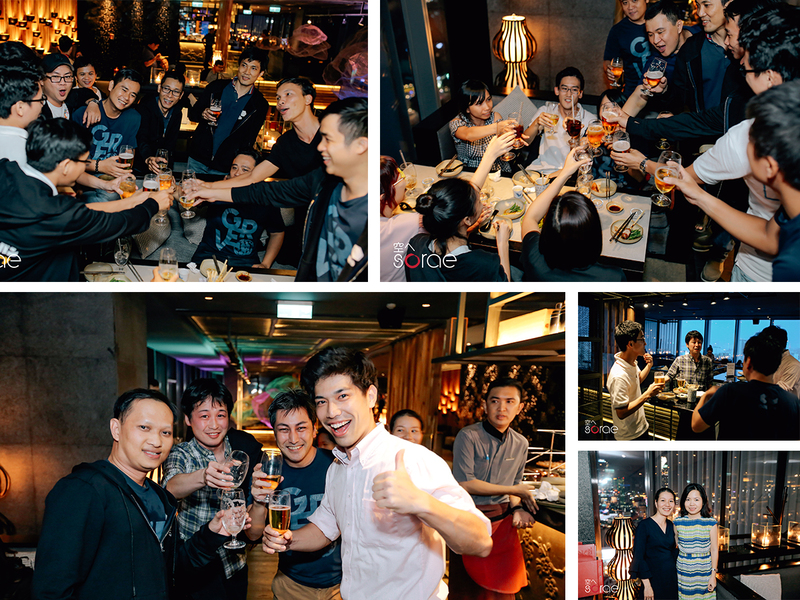 To celebrate 4 years cooperating with our client – GREE JP, a slightly more relaxing night party, which was a great chance to let team members unwind, catch up over some drinks, and express their feeling, was held last week at Sorae Sushi & Lounge – one of the fabulous sushi restaurants in Saigon. 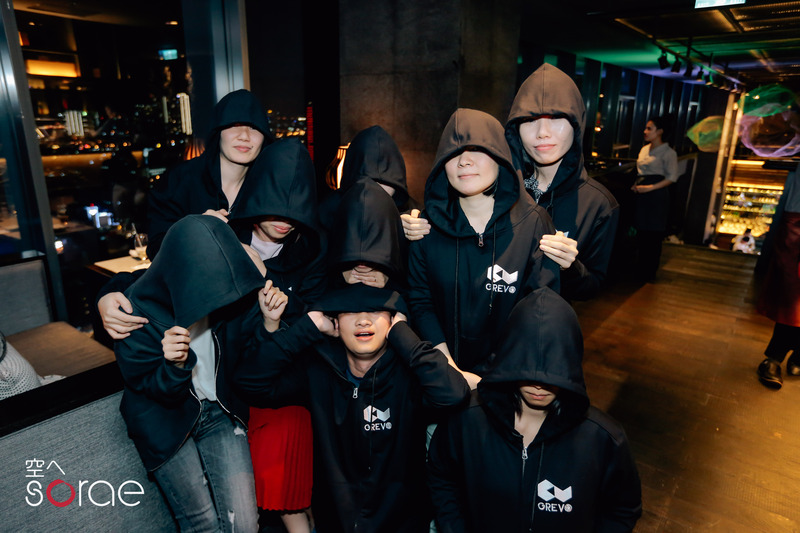 At the check-in step, everyone received an anniversary coat as a thankfulness of him/her’s contributions to our company. 75 members with 75 special coats for a very special day. 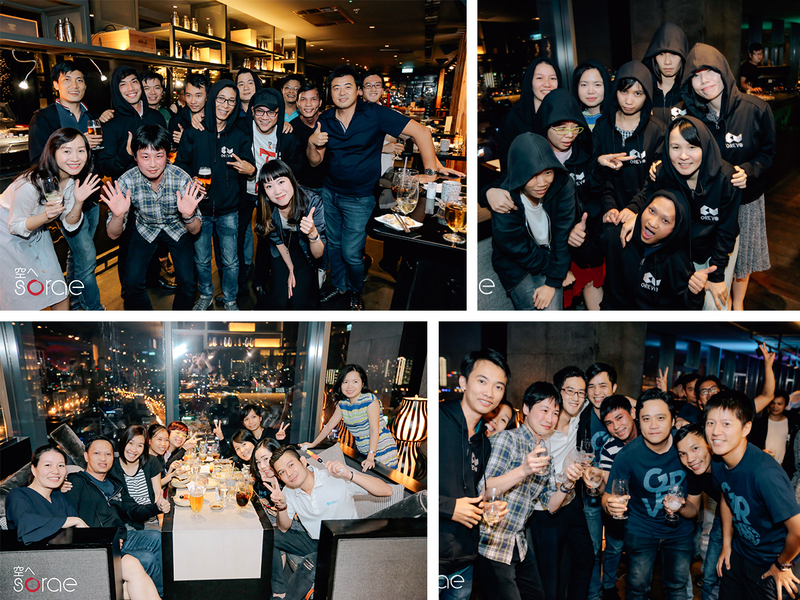 We started our anniversary party with a speech from GREVO’s CEO – Hiroki Yamamoto. 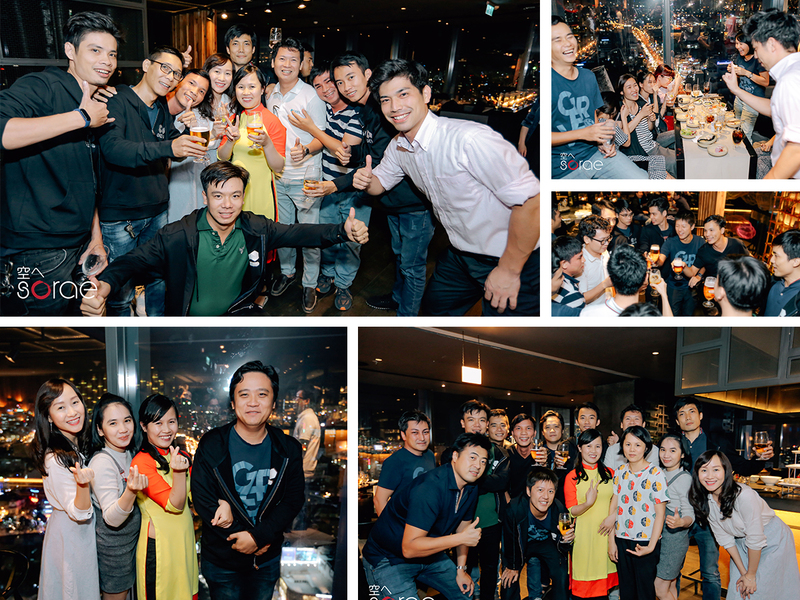 In August, we also had 2 birthdays of 2 our beloved members: Mr. Ohyama Tetsuro and Mr. Thong. 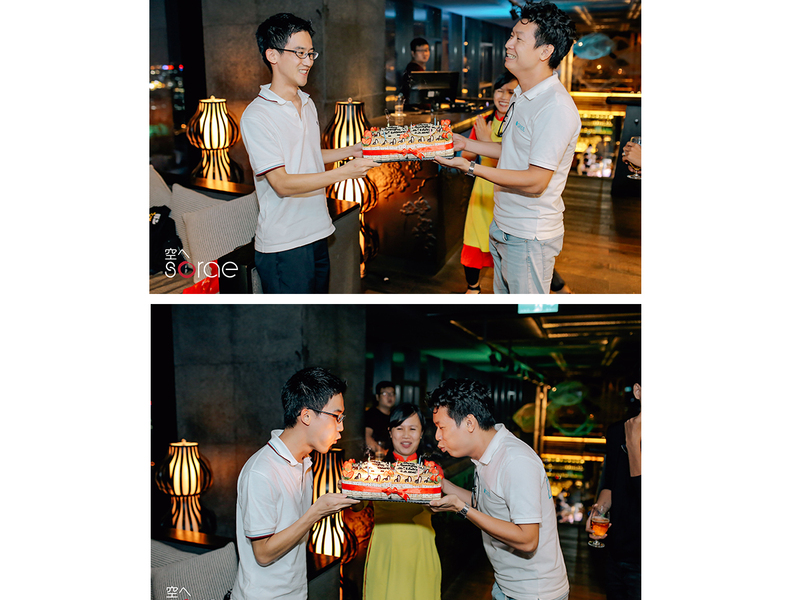 That’s why we made a surprised birthday cake for them. 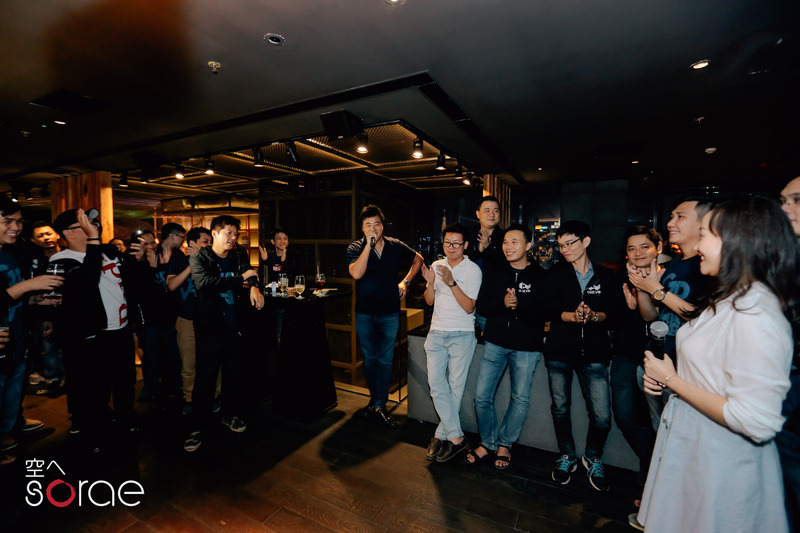 As an important representative of Evolable Asia, Mr. Sul Yoosa had a small speech at the party to congratulate the corporation between GREE and EVOLABLE ASIA during 4 years. 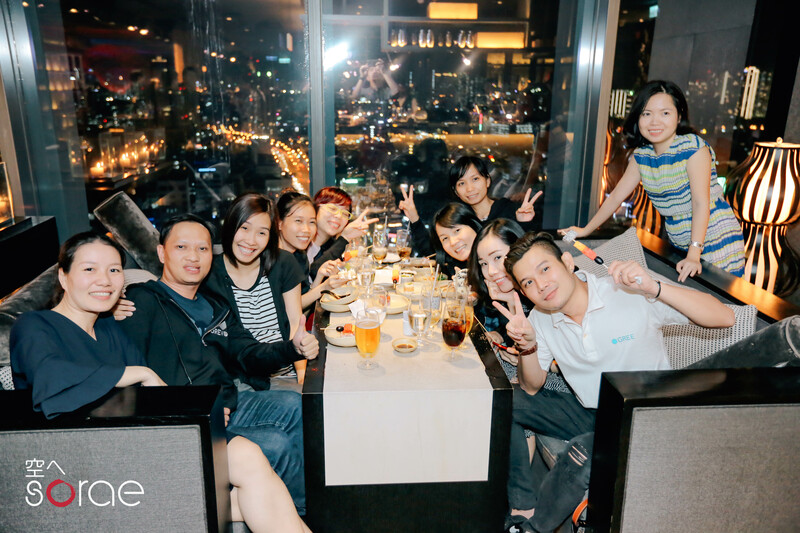 The party nearly turned to end, and we did not forget to record this memorable anniversary date by taking the pictures of whole members. There are tons of laughs, thousands of emotions, hundreds of good feelings and one more anniversary day to remember. Thank our GREVors who all made the day special in a way that was right for you!